Wild Wild Ambient Boys – We Don't Rock | Esc.rec. 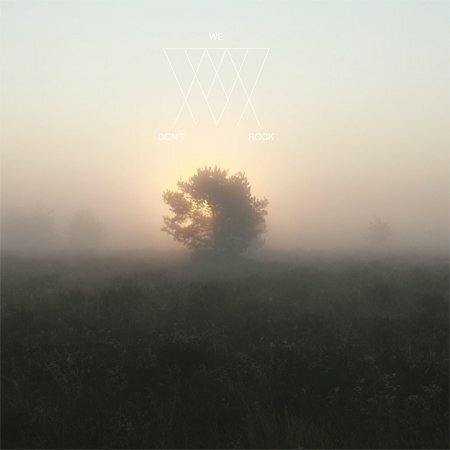 Between 2009 and 2013 Wild Wild Ambient Boys secretly recorded their debut album “We Don’t Rock”. The music on this album can best be described as Xerox Euphoria. Important influences are porcelain flamingos, Microsoft Office, David Hamilton and memories of horses in the late 60s. Visual artist and musician Hidde van Schie (Rotterdam, 1978) graduated in 2001 from the Willem de Kooning Academie in Rotterdam. Since than his artworks were shown in exhibitions in galleries, musea and artfairs in e.g. The Netherlands, Belgium, France, Italy, Germany and Switzerland. Recent veneus include Laurent Godin Gallery in Paris, Ausstellungsraum Klingental in Basel, Boijmans van Beuningen in Rotterdam and Jaap Sleper Gallery in Utrecht. Besides his own artistic practice van Schie is active as curator/programmer for festivals and exhibitions and he initiates his own cultural projects in the fields of music and art. Between 2008 and 2010 van Schie was teaching painting at the fine arts department of the Willem de Kooning Academie. And between 2007 and 2013 van Schie was a member of the Rotterdam based artist-initiative Foundation B.a.d. In 2011 van Schie co-curated Festival De Wereld van Witte de With. He founded The Marble Heart Club, a cooperation between 7 Rotterdam music groups for Oerol Festival 2012. Recently he released his debut-album as a singer-songwriter: The Mirror & The Razorblade / Dusty Diamond Eyes. Musician, writer and filmmaker. Since the early 90s he played in various bands: Room 101, De Vogels, The New Earth Group, The Minor Details en Hond & Wolf. As a producer and a director he was involved in e.g. documentaries about the poëts and writers Frans Vogel, Rien Vroegindeweij, Remco Campert en Bart Chabot. Recently he produced the film ‘Toegetakeld door de liefde’, the debut of Ari Deelder with a soundtrack by New Cool Collective. Rozendaal contributed to the scores of various documentaries and films like Brainstorm (2001), Cheese! (2001), Building for Brussels (2010) Interzone (2011), Rotterdam 2040 (2013) and many short animation films. He founded websiteofthemoon.com, an audio archive of tracks from various Rotterdam (underground) musicians. From the late eighties to the early nineties, Rozendaal produced various cassette releases with ambient and harsh noise collages. A rework of this material will be released on vinyl in the future. Recently Esc.rec. released his first solo LP ‘At My Feet In The Ground’. Nu ook op VPRO 3voor12 Luisterpaal!